A photo expedition into people, places and things. 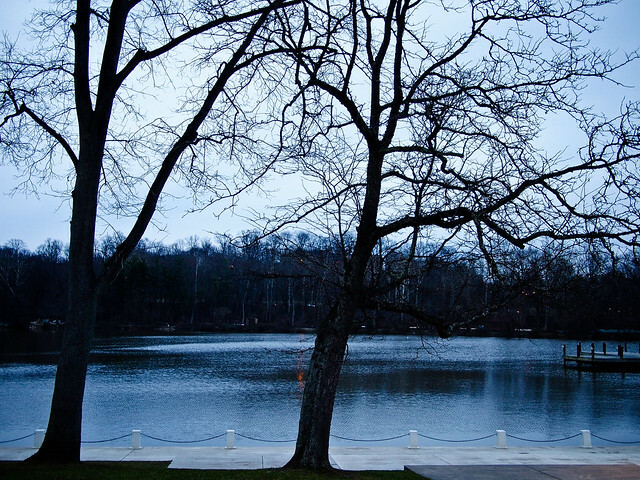 Lake Kittamaqundi is in Columbia, MD. We went there on a cold December evening, just to take some pictures. Needless to say, we got too cold too soon. But we did manage to capture some evening shots. 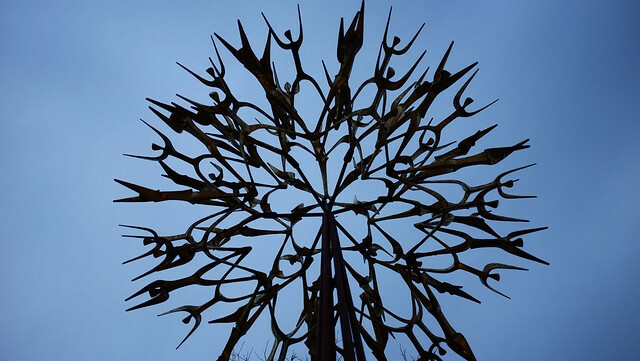 The lakefront showcases a sculpture – The People Tree or the Tree of Life designed by the French Artist, Pierre du Fayet. The People Tree symbolizes the “closeness or interaction among people”. Funny, a tree should teach us people how to interact! What other secrets does nature hold for us? 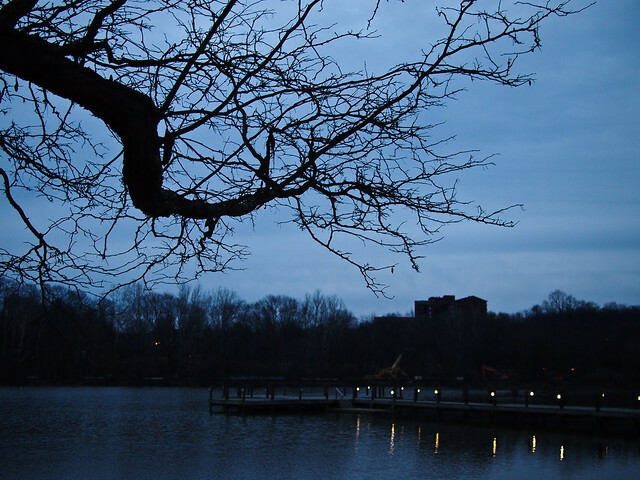 Columbia is a planned community. 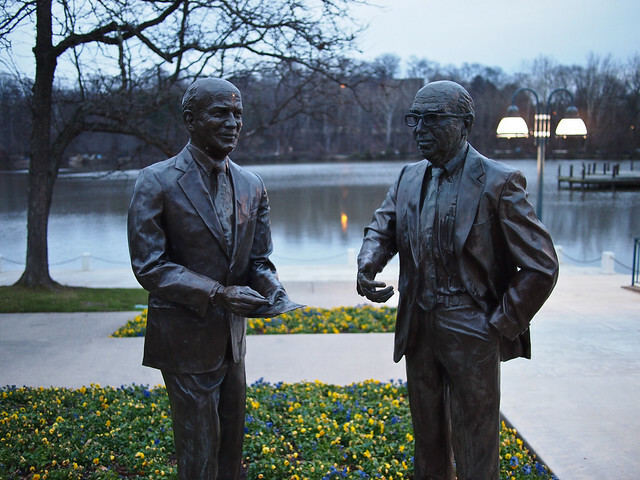 Founder James Rouse and his brother William Rouse on the lakefront warmly welcome everyone. I love how their statues depict action, especially the smile on one of the Rouse’s. They also seem to be in a picture perfect location, lucky them! 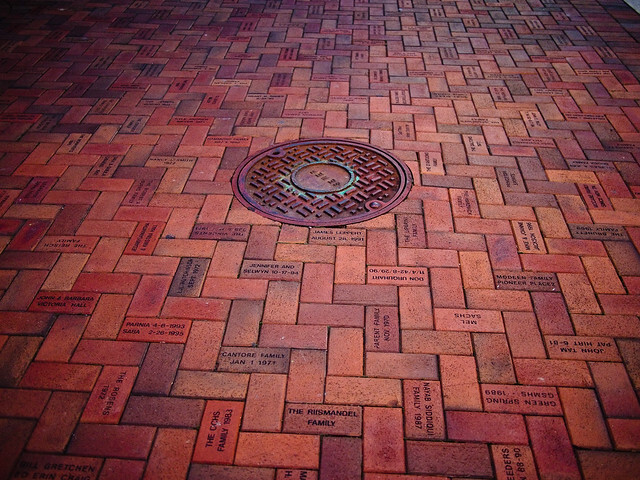 A bright red brick pavement adorns the names of Columbian Residents. I loved the colors and shapes on this pavement. 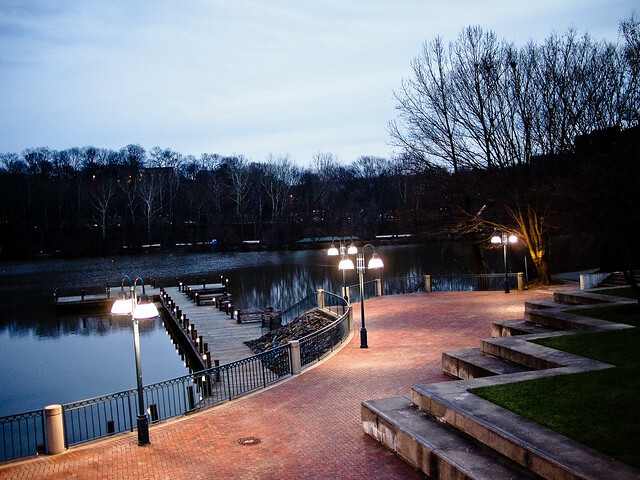 For a relaxing evening by the lake, or to attend the many festivals in summer, residents often throng this lake or the nearby Merriweather Pavilion. 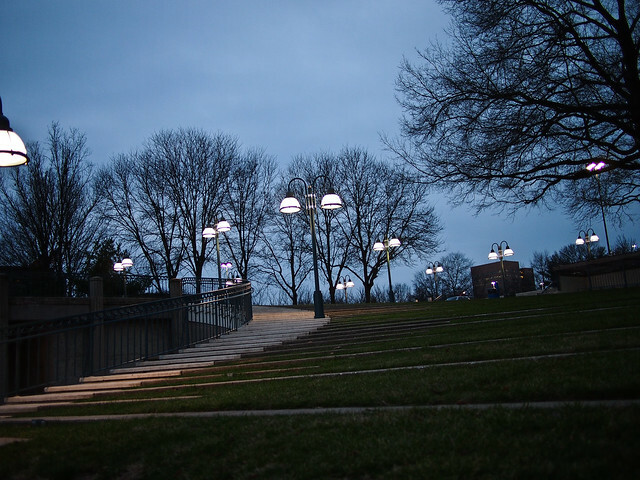 The boardwalk was beautifully lit in the evening. This tree seemed to be reaching out to the lights on the boardwalk. 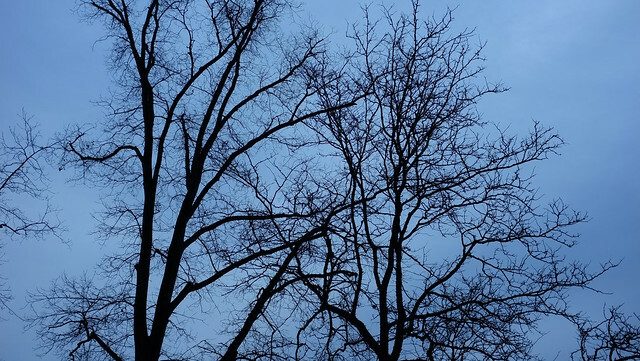 The branch was beautiful against the dark sky. The weather was gloomy and the trees barren. Nature loves to dress up with all its seasons! As we headed back home with the lights guiding our way, our hands cold, and eyes delighted at what we saw in nature, our hearts were filled with warmth. If you are visiting DC or Baltimore, Columbia is a good place to stay and commute, as it is located midway between Baltimore and DC. Columbia has plenty of commuter buses to and from DC and Baltimore all weekdays, to make your visit driving-free, if you don’t mind the time it takes to ride! Our backyard cardinal in the morning sun.